element14 has recently announced the introduction of new connectivity solutions from leading connector manufacturers to its 130,000 parts strong inventory. element14 are now suppliers of connectivity solutions covering an extensive range of connectors applicable to sectors such as consumer electronics, communication, medical, industrial, transportation and networking. Customers are now able to enjoy ease of purchase with no minimum order quantity or value and next day delivery in most cities in the Asia Pacific region, as well as comprehensive product solutions and promotional discounts of up to 40% for selected connectors. element14 currently has over 14,000 3D connector images in PDF format available for engineers to view, which can be rotated 360 degrees for full inspection. This unique function will enable engineers to better visualise how these connectors can fit in their overall design and address their challenges innovatively. “At element14, we understand there is a growing requirement for flexible, high current connectivity solutions, and we are excited to be collaborating closely with the major global leaders in interconnect to provide the region with the most advanced and reliable connectors,” says Marc Grange, Head of Product Management, element14, Asia Pacific. “These new products possess innovative features in terms of versatility and high current density to meet the rigorous requirements of design engineers in the region. On top of that, our new 3D imaging tools for the connectors will provide optimal support in helping engineers select the most appropriate connectors for different applications,” he adds. Loh Keng Wai Henry, Distribution Corporate Account Manager at connector and interconnect components supply company Molex, firmly believes that product innovations need to address the challenges faced by engineers in order to stay relevant in the market. “element14’s interactive online community has not only provided customers with an excellent channel for feedback, but it also helps us to have a greater understanding of the challenges that our customers are faced with today,” says Henry. 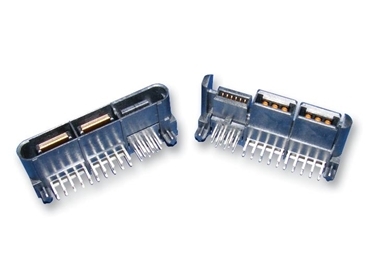 Available from element14 in their new connectivity solutions inventory are a range of versatile connectors with many applications, such as the Molex EXTreme Power and the Molex Flexi-Mate. can be used for backplane/midplane applications (servers, routers, switches), hot-swap power supplies, test equipment and industrial control. space-saving positive side locks for wire-to-board connection and guide features that help facilitate mating and protect terminals.